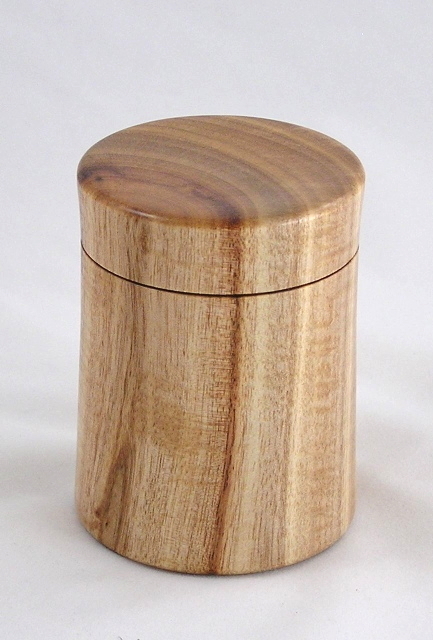 Acacia Saligna Box - TT176 [TT176] : No Skew Turns, Gifts handcrafted from the world's beautiful woods. Acacia saligna, also known as weeping, golden, or orange wattle, is a pale grayish-tan with attractive reddish-brown streaking through the heartwood. This box displays a fine-textured fiddle-back figure as well. The inside of the lid and the bottom are flat, for maximum storage space.